Snøhetta’s Solobservatoriet Planetarium and Visitor Centre will be Norway’s biggest astronomic facility, located in the town of Lunner, surrounded by the dense vegetation of Harestua forest 45 km north of Oslo. 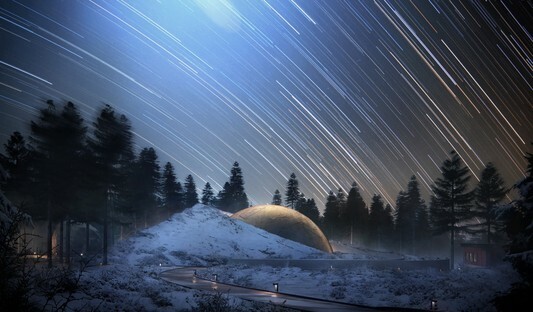 Planetarium and Visitor Centre The new project recently presented by Snøhetta takes the Norwegian studio’s study of architecture and landscape to the “stars”. 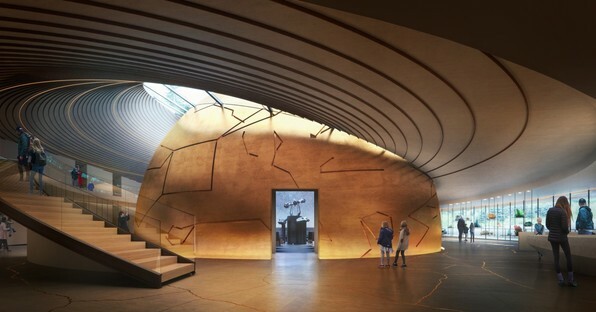 After Svart, the first energy-producing hotel at the Artic Circle, and Under, Europe’s first undersea restaurant, the studio thrills visitors again with the new Solobservatoriet Planetarium and Visitor Centre. 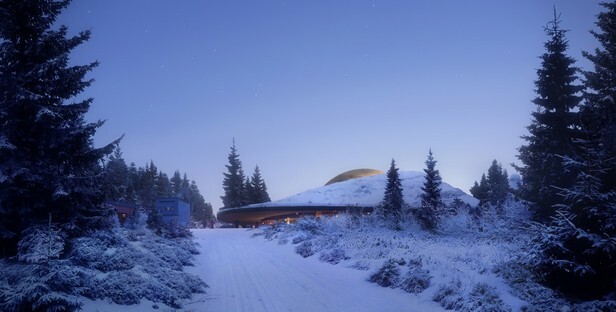 The 1500 sqm complex containing a series of interstellar cabins like little planets will be one of northern Europe’s most important research centres for astronomy, as well as the biggest astronomic facility in Norway and the biggest solar observatory north of the Alps. 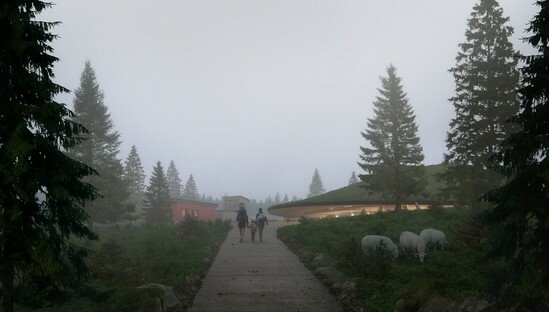 The site selected for the facility is surrounded by the dense vegetation of Harestua forest, 45 kilometres north of Oslo in the town of Lunner. 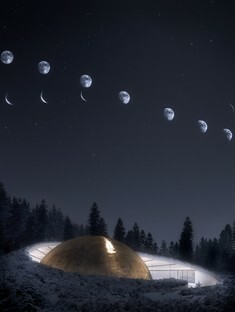 The site already had a solar observatory, built by Oslo University to observe the total solar eclipse of 1954. The facility was later expanded and used in partnership with the US Air Force to monitor Soviet satellites during the Cold War years. It became a scientific research and information centre again in 1986, operated by the university, and in 2008 it was sold to the Tycho Brahe Institute. 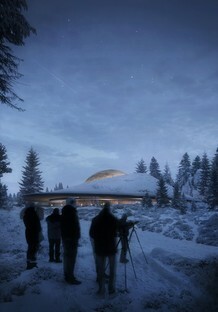 The institute is named after Tycho Brahe, the 16th century Danish scientist and founder of the modern science of astronomy based on observation, and the new facility designed by Snøhetta will be sure to attract reactions of marvel and curiosity among researchers and astronomy fans. The research centre permits observation of natural phenomena such as the northern lights and the night sky and takes visitors on a “voyage” through the world of astronomy. 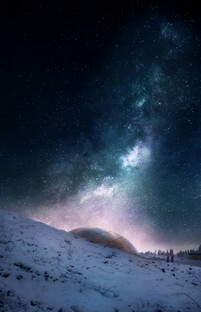 The architects drew their inspiration from the basic principles of astronomy in designing the planetarium. 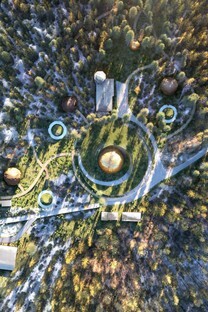 The seven interstellar cabins, separate from the central body, recall the solar system with planets revolving around the sun. The cabins are of different sizes, with different surfaces, and are located in different positions in relation to the ground; some of them are partially underground, while others appear to rest gently on the lawn. They are like imaginary planets, each with its own name, in which up to 118 visitors can be taken on an intellectual, visual and tactile voyage through the world of astronomy. The central structure, the Sun, is the first construction to attract our attention as we come along the footpath through the dense Harestua forest. 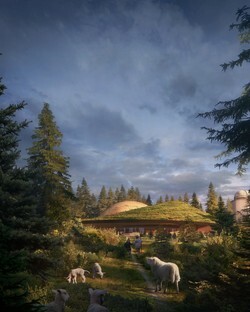 The architects have designed a building that fits harmoniously into the landscape, with a curved roof covered with local plant species such as wild heather and blueberry bushes. The roof winding around the golden dome of the observatory becomes the transitional element between the natural landscape and artificial structures. Evoking the first planetarium in human history, built by Archimedes around 250 B.C., the architects designed a structure on three levels which is partially underground. The dome in which the constellations appear emerges above ground but is revealed to visitors gradually as they approach the centre. Inside the dome is the celestial theatre, the heart of the structure, in which groups of 100 visitors can watch a realistic projection of the stars, planets and other celestial bodies. A series of accessory functions, a coffee shop, an exhibition area and a reception desk are also contained in this central structure, from which a ramp leads to a second exhibition area and an outdoor patio.